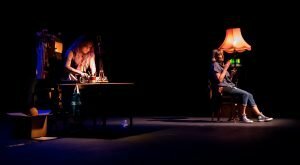 Part of Common People: the working class theatre festival. Browse the full programme here. Take advantage of our double bill ticket offer, and book two different shows on the same night for just £16! Simply add the tickets into your basket and we’ll do the rest. 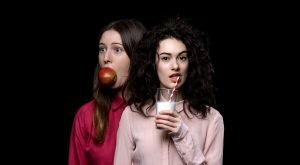 Common People runs from Tue 17 – Sat 28 April. 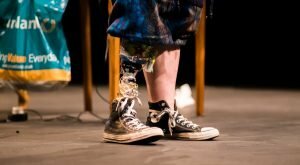 Award-winning poet and theatre-maker Jackie Hagan’s way has been to make a new solo show that features the real voices of proper skint disabled people she knows. Jackie has conducted interviews with people from all over the country living on the fringes and the spaces in between. They are not sob stories, they are fully rounded lives full of the spiky humour and the complicated weirdness of being human. Jackie weaves these narratives together with poetry and anecdotes, celebrating the weird, the wonky, the unruly, and the resilient. 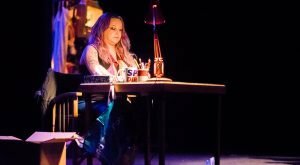 Jackie Hagan is a working-class queer amputee, an award-winning writer and performer, and a Jerwood Compton Poetry Fellow. 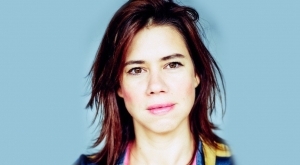 She writes plays, stand up comedy, performance poetry and solo shows and has been commissioned by leading organisations like Unlimited, Graeae, Royal Exchange and Contact Her work has appeared everywhere from Channel 4 and BBC Radio 4 to Chat Magazine.